The University of Oxford has signed the San Francisco Declaration on Research Assessment (DORA). In May 2018, the University’s Research and Innovation Committee agreed and accepted the San Francisco Declaration on Research Assessment (DORA) as part of a movement towards responsible use of research metrics at Oxford. 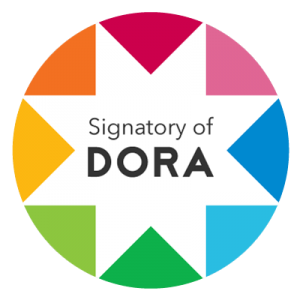 DORA is a worldwide initiative covering all scholarly disciplines which recognizes the need to improve the ways in which the outputs of scholarly research are evaluated and seeks to develop and promote best practice. To date it has been signed by over 500 organizations and around 12500 individuals. Its main themes are the need to eliminate the use of journal-based metrics, such as Journal Impact Factors, in funding, appointment, and promotion considerations; the need to assess research on its own merits rather than on the basis of the journal in which the research is published; and the need to capitalize on the opportunities provided by online publication (such as relaxing unnecessary limits on the number of words, figures, and references in articles, and exploring new indicators of significance and impact).